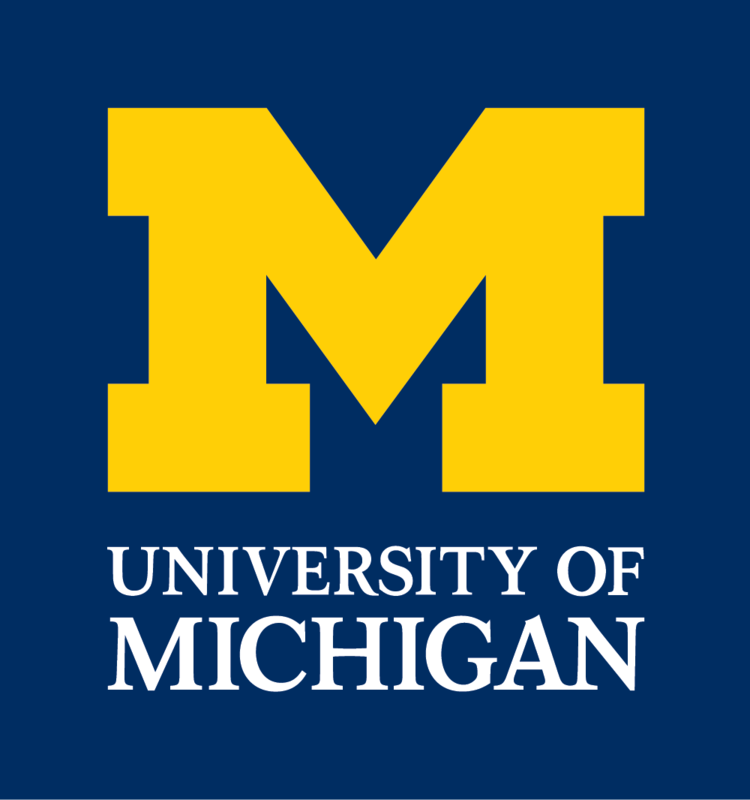 The department of chemistry at the University of Michigan is attending to the professional preparation and education for its doctoral and post-doctoral students who are planning on careers in industry and other parts of the private or government sectors. 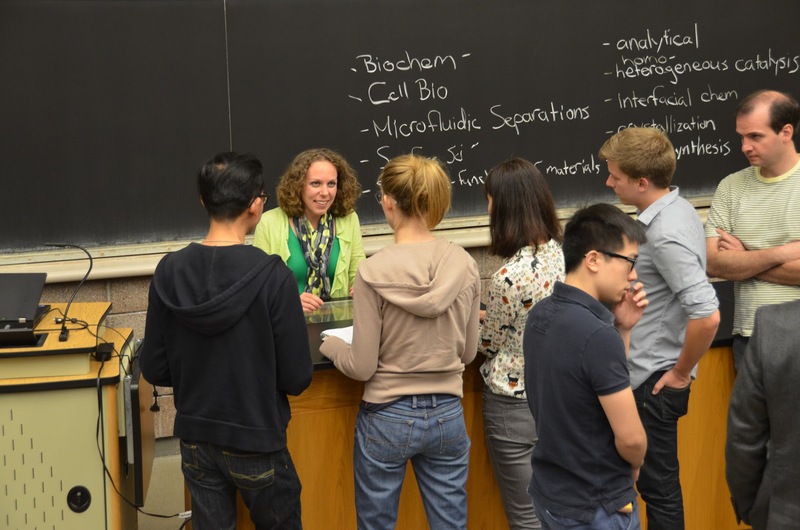 The program, called CALC|UM (Chemistry Aligned with Life & Career at the University of Michigan, pronounced “calcium”) is directed by the faculty, and co-designed and implemented with a core organizing committee made up of 10-15 students. (b) provide opportunities for first-hand leadership and multi-disciplinary team experiences that are relevant to their future professional lives. History & Development of CSIE|UM & CALC|UM Change 2016 48:2, 34-43. See Programs, Projects and Events to learn how you can be involved. 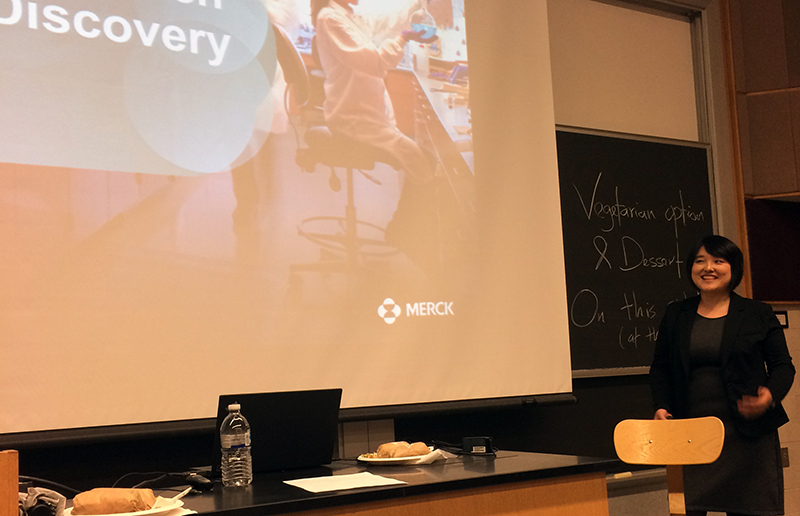 Sugyan Dixit and Melanie Cheung See Kit hosted an industry “town hall style” panel geared towards bioanalytical and chemical biology interests. 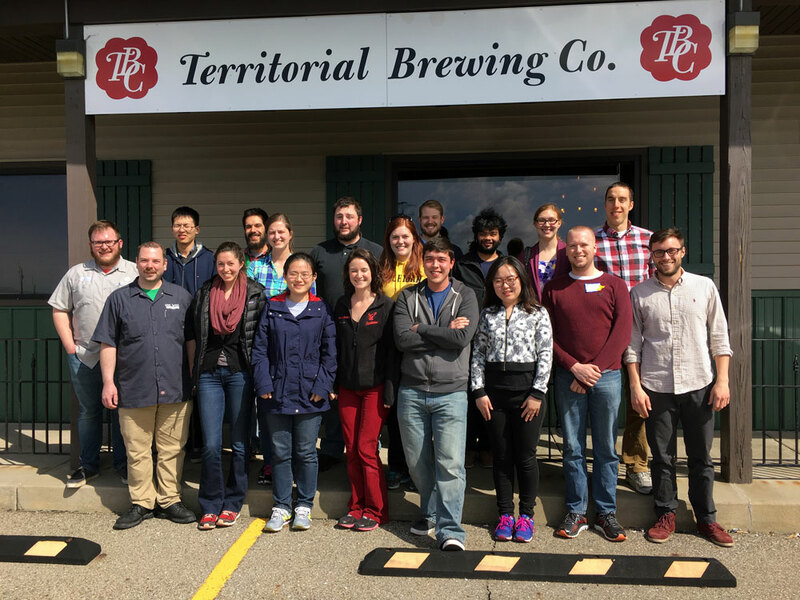 The invited speakers were U-M alums: Dr. Joseph Eschweiler from AbbVie (Ruotolo lab PhD graduate, May 2017) and Dr. Jaimeen Majmudar from Pfizer (Martin Lab postdoc, 2012 to 2016). Jason did about a 40-minute presentation to a group of about 30 students over lunch. He has a unique background that he went over, including his experiences with his advisors and how he arrived to where he is now. A panel on internships featuring two graduate students who had interned during the summer, and their advisors, all of whom shared their experiences and opinions. Amanda Dewyer (intern at Applied Materials) and Alex Nett (intern at AbbVie) along with their advisors, Professors Paul Zimmerman and John Montgomery, served as the panel. Chemistry graduate student Ren Wiscons developed and implemented a three-part, hands-on workshop on using Adobe Illustrator as a versatile tool for various representations needed in chemistry research settings. For a report, see here. On Wednesday, November 15th, a group visited BASF in Wyandotte, MI from 8am-2:30pm, including a poster session during lunch. For a report of the day, see here. November 10, 2017: Biotech or Pharma? 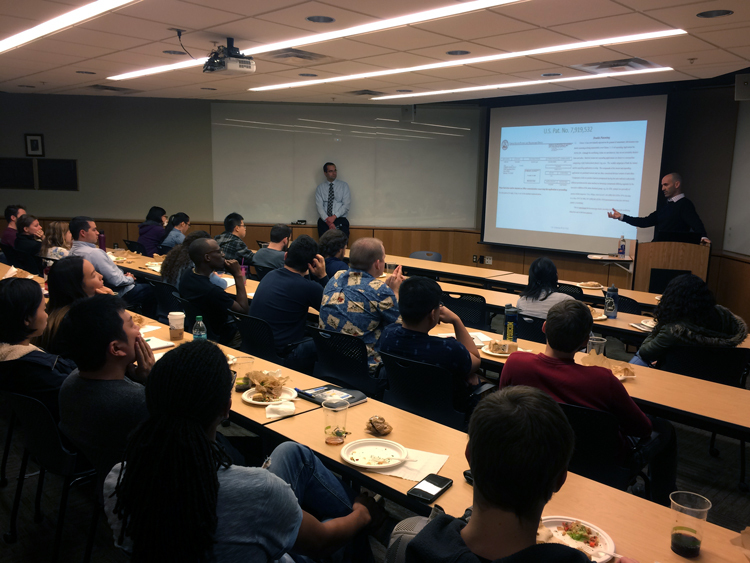 Two Michigan alumni, Joel Beatty and Mitch Keylor, came to Ann Arbor to share their experience in pursuing a career in biotech and pharmaceutical industry. Joel pointed out that start-up company typically has an aggressive timeline for their projects. That could mean frequent changes in project’s goal and researchers might have to switch between projects at similar pace. Mitch shared reflections on his experience as a post-doctoral researcher at Novartis in Cambridge, MA. He pointed out that post-doc positions are supposed to be temporary, and they are meant to help to advance the career goals of PhD graduates. A seminar and discussion by UM Chemistry Alum Dr. Beth Knapp-Reed from Glaxo-Smith-Kline (GSK) in 1706 on Thursday, November 9, 2017, from 12 pm to 2 pm. Five subgroups of graduate students gave research presentations to Beth throughout the day. This served as a chance for Beth to hear about the exciting chemistry occurring within the department and provided our students with an opportunity to do some valuable networking. Beth’s talk was on high velocity learning, which detailed strategies to increase productivity by way of implementing greater efficiency. The topic seemed to resonate well with the students and many questions were asked. Dr. T. Ramasami visited Michigan co-sponsored by the Ford School of Public Policy, the Chemistry Department, the Office of Research, and the Center for Southeast Asian Studies. While at Michigan, he delivered talks at Ford and in Chemistry. 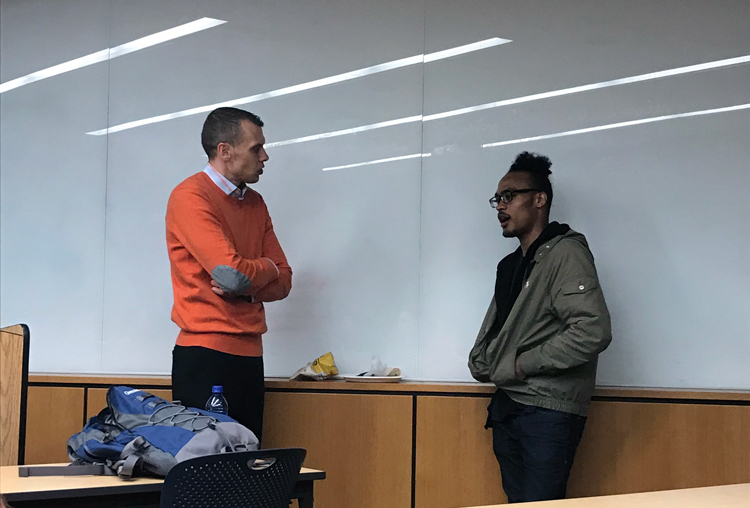 On Friday, November 3rd, CALC|UM and CSIE|UM in collaboration with Dr. Clarence Anthony Jr. from the UM Career Center,hosted a workshop on effectively creating and utilizing a LinkedIn profile. Dr. Anthony covered the information that should be included in a LinkedIn profile, strategies for presenting oneself to potential employers, and how to utilize the network to connect with UM alumni. Following the discussion, Chemistry Graduate Program Coordinator Elizabeth Oxford was available to take professional profile photos for those interested. Dr. Jimmy Brancho is a 2017 graduate from the U-M Chemistry Department. He has been a noteworthy writer for public science, and now works as a Lecturer III at the Sweetland Writing Center. The department is collaborating with Sweetland to offer a graduate level writing class. For the complete report, see here. 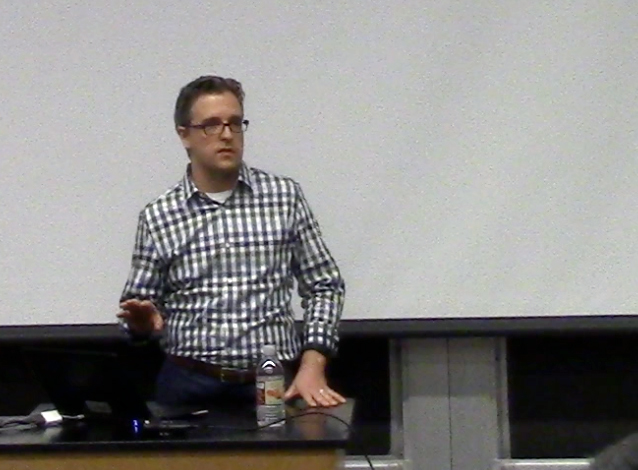 Two Michigan alumni came to Ann Arbor to share their experience in pursuing a career in patent law. Aaron Raphael received his B.Sc. in chemistry from U of M and law degree from Emory University. He is now a partner at J. A. Lindeman & Co. Joshua Ney received both his Ph.D. in chemistry and law degree from U of M, and he is currently an associate at Brinks Gilson & Lione. 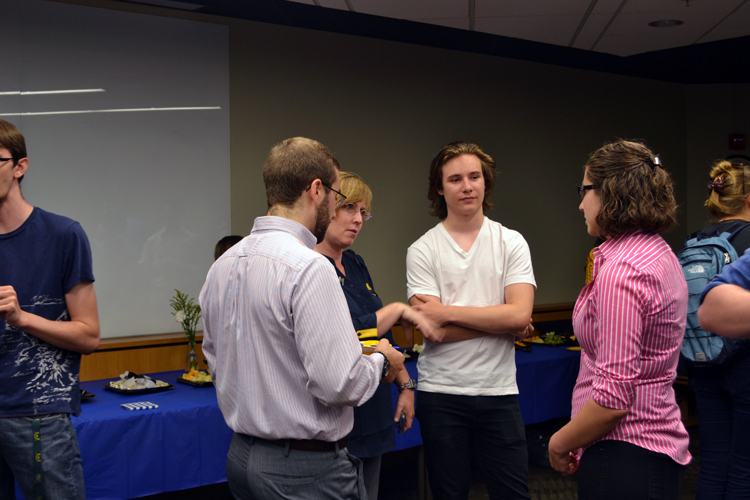 On Friday September 22, 2017, CALC|UM hosted its second career panel of the year. Panelists included Kathryn Hughes (Staff Fellow, FDA), Matthew Clarke (Conservation Scientist, Smithsonian), and Elizabeth Rhoades (Research Scientist,Diageo). The panelists discussed the differences between careers in the public and private sectors, as well as what a day in their career involved. Opportunities for those with a background in Chemistry was discussed for each field. Maintaining “creative flexibility” was a common theme, as one needed to adapt to new situations, figure out the landscape, and connect your own expertise to the problem at hand. Matthew, in particular, emphasized the need for being open to continuous learning in the face of new challenges. On Thursday September 21, 2017, Cory Valente from Dow Chemical gave a presentation on Careers in Industry. Cory is the R&D Leader for Dow’s Strategic Recruiting and Research Assignments Program, as well as the Global Network Leader for GLAD, Dow’s Diversity & Inclusion network for LGBT and ally employees. 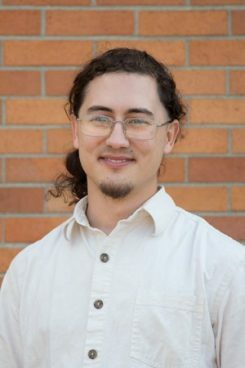 He gave an in-depth look at both his specific career path, and how industry careers can vary greatly from the imagined “bench chemist” position. Valente underscored the need to be intellectually nimble and not locked into one way of thinking about (or solving) problems. He also emphasized the need for clear communication and exceptional cooperation skills, and the role that the mention of these play, even in recommendations for positions. 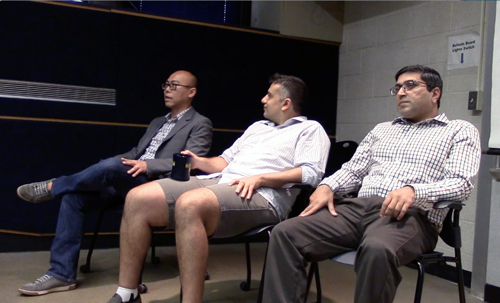 The townhall style panel discussion led to very interesting topics on venturing into industry jobs after PhD. 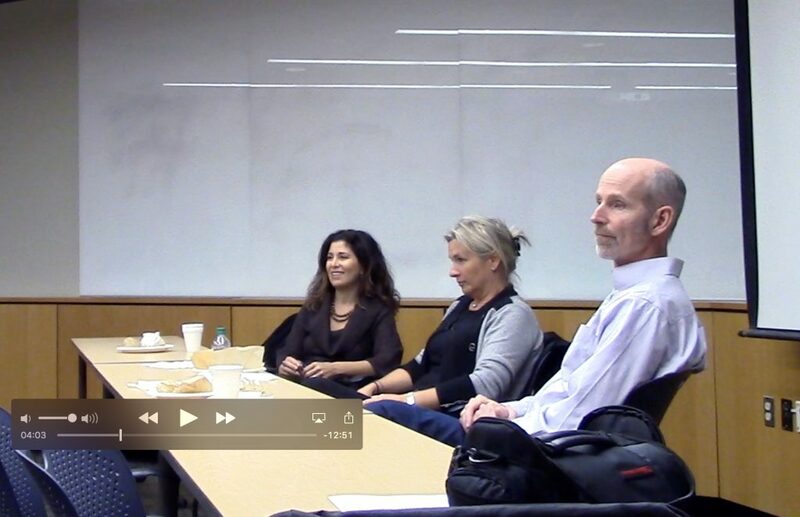 The panelists discussed the challenges for transitioning from an academic work environment to industry setting. Learning new sets of skills and being able to work in a collaborative work environment seemed to facilitate such transition. A combined CSIE|UM and CALC|UM event preceded the Karle Symposium and featured activities by departmental alumni guests. See description of full session. Three BASF scientists described a range of ideas on how products move from lab into production. See the full report, here. Friday, April 7, 2017: From Bench Top to the 72nd Floor: How did a PhD Chemist Become a Secret Patent Agent? 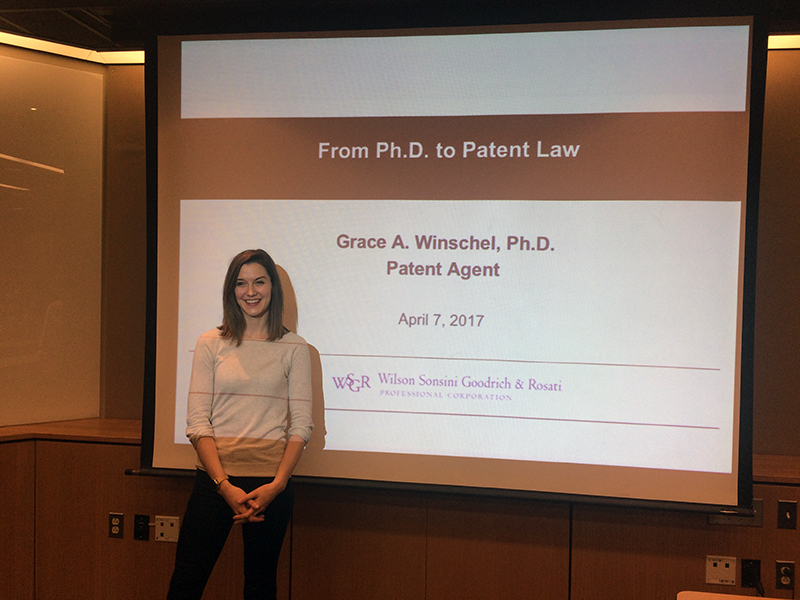 Grace Winschel received her PhD in organic chemistry in 2015, and she is now practicing as a Patent Agent at the law firm of Wilson Sonsini Goodrich & Rosati based in Seattle. 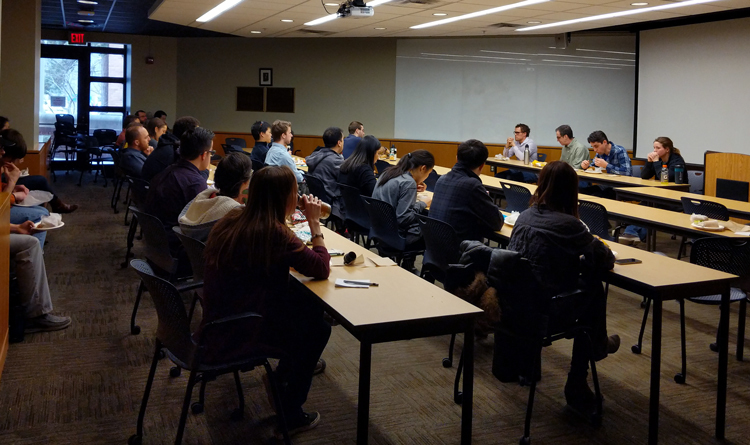 Two recent graduates from the chemistry department, Alina Borovika (2015 – Nagorny Group) and Naoko Ichiishi (2016 – Sanford Group), came to Ann Arbor to share their experience starting an industrial career as a fresh PhD graduate. Naoko is currently a post-doctoral researcher at Merck. Change it Up! brings bystander intervention skills to participants for the purpose of building safe, inclusive, and respectful communities. Change it Up! is based on a nationally recognized four-step bystander intervention model that will develop your skills and confidence when intervening in harmful situations inside and outside of the classroom. Following open 2-hour brunch (9-11), our three speakers introduced their own life pathways and guidance for those thinking about careers in the general area of professional consulting. The informative, one-hour session from 12-1 pm was followed by a lively open discussion until 2 pm. After a small break, our guests met with small groups of 3 people in the afternoon, for 30-minute periods, from 2:30-4:00 PM. Microagressions are everyday verbal or nonverbal environmental slights, snubs and insults that, more often than not, are subconsciously committed by individuals with a privileged, and/or dominant culture background. Elizabeth Rohr, Program Coordinator with the University’s Barger Leadership Institute facilitate a group discussion on the role and impact that microaggressions have in and on our daily lives and beyond. Dr. Vjekoslav Dekaris, a scientific editor for Cell Chemistry, outlined the background for his career including his motivations; he cited what he felt was a lack of reward for hard work in graduate school combined with limited desire to continue lab work as his primary motivations for transitioning into a non-laboratory based career path. register here for the event(s) of interest. Four Dow scientists came to the Ann Arbor campus to present a process chemistry problem that shut down a Dow plant. Then, without revealing how Dow actually solved the problem, the Dow scientists invited the students to form teams to propose viable solutions to the real-world issue. Successful proposals had to consider industrial constraints including cost, infrastructure, resources, and safety. Five interdisciplinary teams were formed consisting of graduate students from Chemistry, Chemical Engineering, Macromolecular Science and Engineering, and Applied Physics. Over several weeks, the students developed solutions to propose. 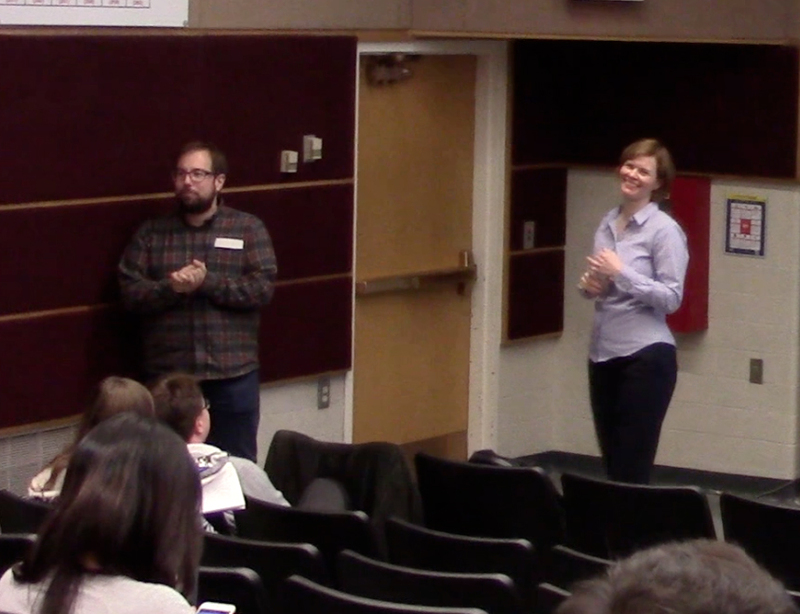 Then the Dow scientists returned to campus for a second session where the students presented their ideas. At the conclusion of the student proposals, the Dow group presented the solution that was ultimately implemented at their plant. Cayman chemical is a biotechnology company headquartered in Ann Arbor with more than 350 employees. The company provides chemicals for pharmaceutical research as well as analytical services to state and federal crime labs. Cayman chemical offers a wide range of career opportunities for chemists, biochemists and engineers. A group of 20 students participated in a site visit to Cayman Chemical. 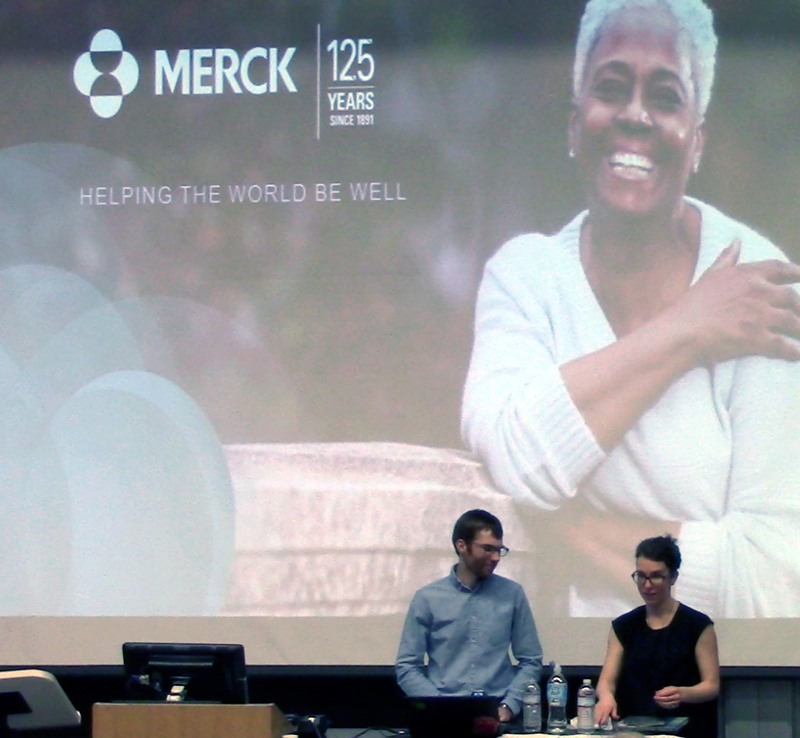 During the seminar, Dani and Jameson spoke about Merck in general and their roles within Merck. Dani, an organic chemist, currently works in Global Chemistry which includes process chemistry and discovery. Jameson, an analytical chemist, works in Pharmaceutical Sciences and Clinical Supply. Sometimes the company may present an opportunity for you to move around, potentially to a managerial role. Accepting or declining this opportunity is a reflection on your own motivations. Specifically, if you like getting your hands dirty, building your expertise in the technical field of interest, and (more generally) working in the lab, then you may consider saying “no” to a managerial ladder. If you want to apply yourself in a different area and prove yourself as a learner then you may be interested in a managerial role. 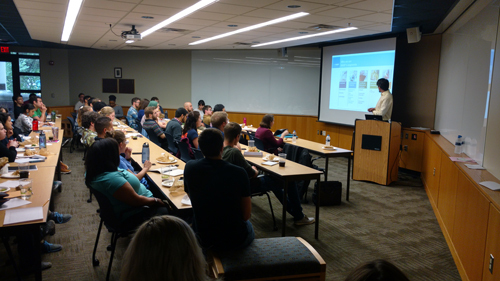 CPDO and CALC|UM welcomed Jeff Swada, Gale Strasburg, and Poulson Joseph to the Chemistry department for an overview of the food chemistry landscape. Additionally, they provided valuable insight about how the specific expertise of chemists can be beneficial for getting a job in food chemistry. What is Human Centered Design? Are you interested in working in industry as a R&D scientist? Two topics that appear to be two separate entities but both go hand in hand at P&G. At P&G, their products are produced through a human centered design process. 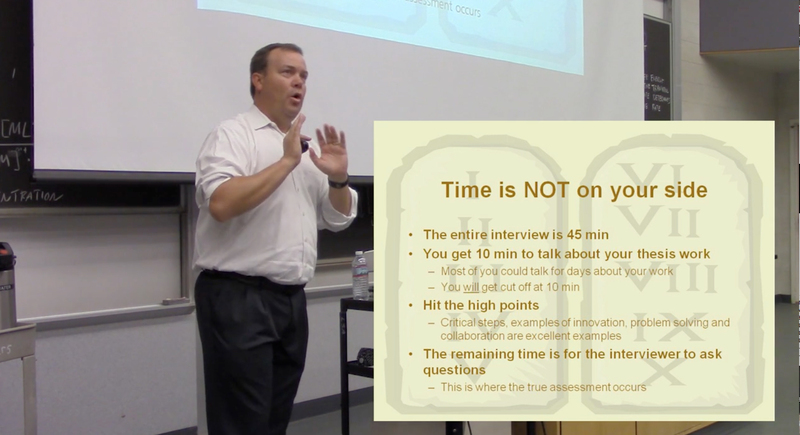 Jennifer Moe and Robb Olsen introduce the concept and explains how it applies to their products/brands. 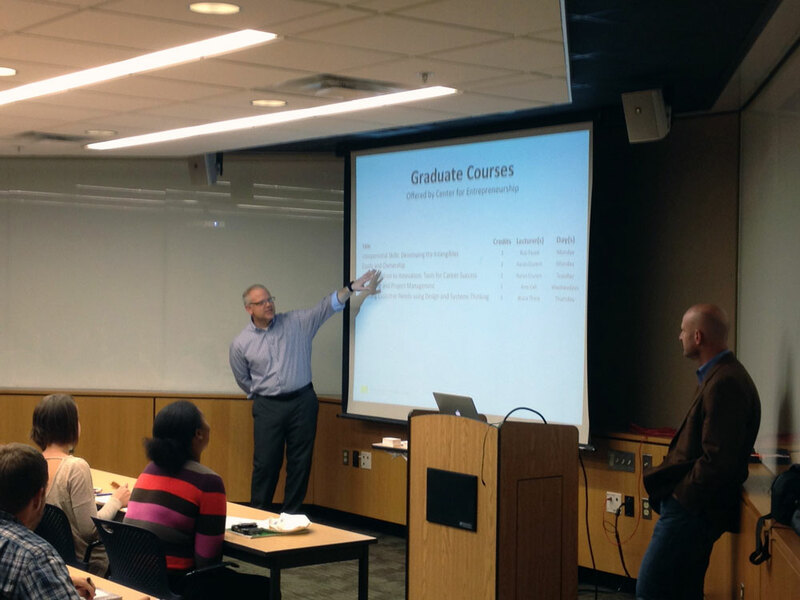 On Friday, November 6th we hosted CALC|UM’s Courses to Consider panel to introduce Chemistry graduate students to valuable courses outside of the Chemistry department. The panel featured classes and professors or students from three departments: the Ford School of Public Policy, the Center for Entrepreneurship, and the Ross School of Business. October 30, 2015 Seminar: Working with Start-Ups Dr. Margaret McCammon, MEDC: Michigan Economic Development Corporation, an entrepreneur and investment portfolio manager in the chemical sciences to share her career experiences as well as educate students and faculty on the resources available for start ups in Michigan. For more information, and a video of the presentation, see the full report. For more information, and a video, see the full report. The Chemistry Department welcomed Dr. Aaron Crumm and Mr. Mikhail Zolikoff to give the seminar on important skills for job seeking. The speakers are both from the Center for Entrepreneurship and have given similar workshops in the engineering departments. For more information, and videos, see the full report. 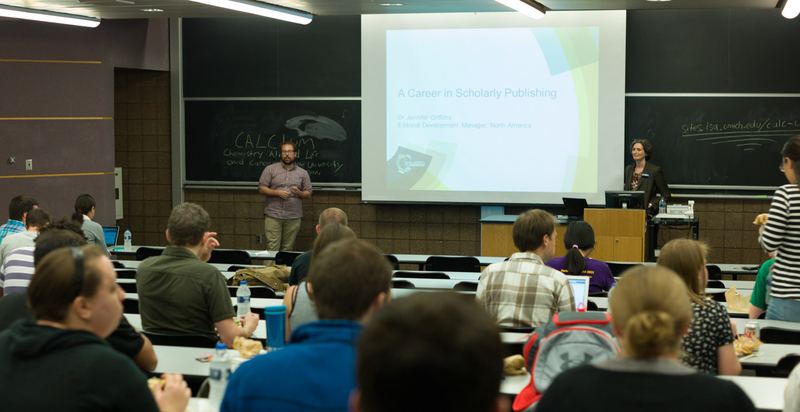 Interested students from multiple departments converged to listen to insights from Dr. Jennifer Griffith’s career in publishing with the ACS and RSC. 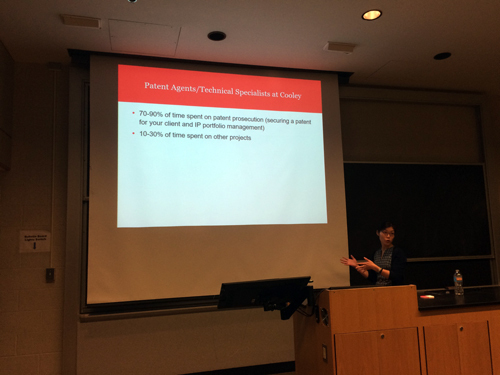 Her talk explained the management structure of large scientific publishing companies, the duties of professionals across the editorial spectrum, and they keys to success in a scientific publishing career. For more information and the video, see the full report.